Bulgaria will appoint a total of 24 new Ambassadors in its major diplomatic reshuffle that aims to replace many envoys exposed as agents of the former State Security, the secret service of the Bulgarian communist regime. Bulgaria's new President Rosen Plevneliev and Prime Minister Boyko Borisov agreed upon a list of 24 new Ambassadors during their meeting Wednesday. The list (see below) was later approved by the Cabinet at a sitting held in the city of Pazardzhik. The appointments are yet to be formalized with a decree of the President. Borisov revealed that Bulgaria's outgoing National Intelligence Service head Gen. Kircho Kirov will not be among the new Ambassadors, since he was a State Security agent. Some of the better known names on the list include Bulgaria's Deputy Foreign Ministry Konstantin Dimitrov, who will be appointed as country's new Ambassador in London, and another Deputy Foreign Minister, Dimitar Tsanchev, who is expected to be appointed as Permanent Representative to EU. Angel Cholakov, Foreign Policy Advisor to Prime Minister Boyko Borisov, is expected to be appointed as Ambassador to Italy. He would replace ex-Communist agent Atanas Mladenov. Five Bulgarian interim Ambassadors are to be named as permanent envoys abroad – in Vienna, Pretoria, Damascus, Bratislava and Islamabad. Biserka Benisheva, a career diplomat, is expected to be appointed as Bulgarian Ambassador in Prague. Appointments are also expected in Kyiv, Stockholm and Skopje. Ivan Piperkov, head of the Department for Political Affairs, Directorate for UN and Global. Affairs in Bulgaria's Interior Ministry, is to be appointed as Ambassador in Geneva. Interim Ambassador in Cairo, Rumen Petrov, is likely to be appointed as permanent envoy. Gen. Nikola Kolev, former President Georgi Parvanov's cabinet chief, may become Bulgaria's Ambassador to the Netherlands, while Foreign Ministry employee Emiliya Kraleva is expected to become Ambassador to Greece. In September, Mladenov ordered a group of Ambassadors to return to Sofia on business trips for an indefinite period that could well last until their terms in office expired or their successors were appointed. The Foreign Minister based his actions on the amended Diplomatic Service Act which allowed him to resort to such measures if the Ambassadors' terms in office were about to expire. In end-November, however, the Constitutional Court revoked the amendments to the Diplomatic Service Act banning former State Security agents from taking up key diplomatic positions. The Foreign Ministry is currently appealing the Constitutional Court's ruling. 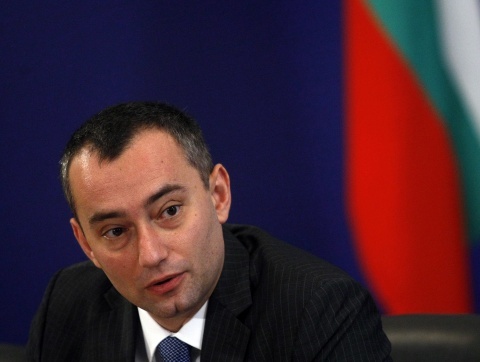 At the beginning of January, Bulgaria's Supreme Administrative Court revoked the recall orders issued by Foreign Minister Nikolay Mladenov to Bulgaria's ambassadors to the Netherlands, Serbia and Greece, so the fate of these appointments is still unknown. “The names proposed are those of people who have proven track records and professionalism. Through them, I want to show how the Diplomatic Service should look. This is the beginning of a process that the Government has the will to follow through to the end, to achieve one of its main priorities - quality diplomacy that works for Bulgarian business and citizens,” Foreign Minister Nickolay Mladenov said. Minister Mladenov expressed his satisfaction that the number of women ambassadors was growing – five of the proposed diplomats are women, representing about 20 per cent of places in the diplomatic rotation. The procedure for appointment of plenipotentiaries includes a proposal by the Government to the President of the Republic (according to Art. 98 Item 6 of the Constitution) and a request to the host country for consent. Following such agreement, the President of the Republic issues a decree on the appointment. The process ends with the presentation of the credentials of the newly-appointed ambassador to the head of state of the host country. *The son of prominent Bulgarian rock singer Kiril Marichkov.